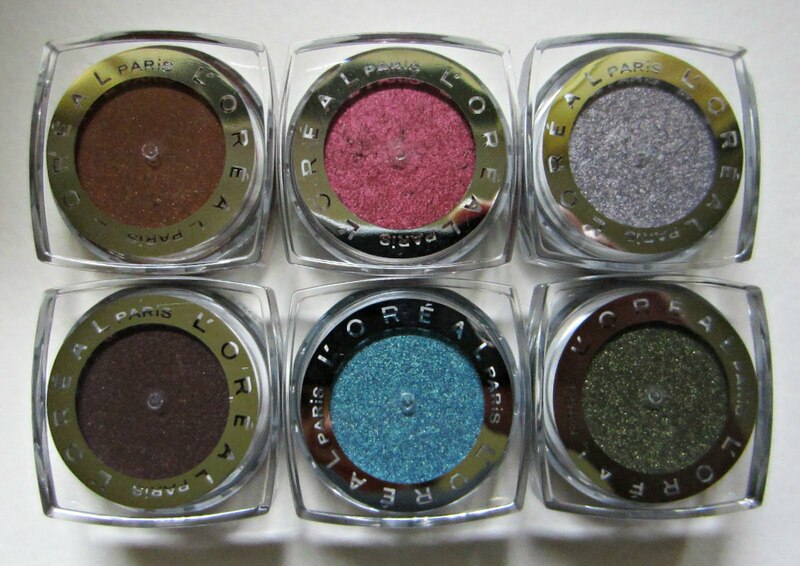 Curse you L'Oreal for coming out with more of these fabulous eye shadows! If you haven't tried L'Oreal's Infallible Eye Shadows, you need to put that on your to-do list! 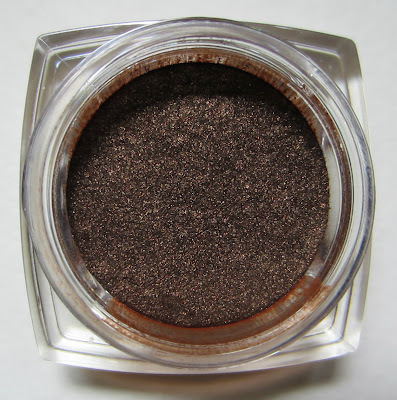 These part cream part powder hybrid shadows last and last, for up to 24 hours of wear time. They feel luxurious and silky during the application, and they're crease resistant, fade resistant, and waterproof. These retail for about $7.95, but use those bogo deals, coupons, and register receipts, and you'll save some bucks! There were twelve shades in the original core collection, and there are 3 new shades in the It's Gold Or Nothing At All Summer 2012 display. 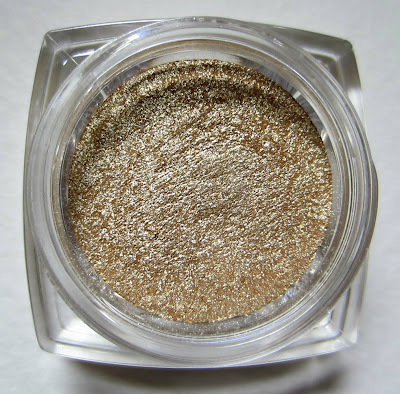 The display holds four shades, but one is from the core collection, Golden Sage, if I recall correctly. There's also a new display that holds six shades and some gel eyeliners, for a total of nine new shades. The L'Oreal web site shows these six shades with the core collection, so I'm guessing they are core and the Summer display shades are L.E., but don't quote me on that. First up are the three new shades from the It's Gold Or Nothing At All Summer 2012 display. I do have all twelve shades from the core collection, but I haven't done any comparisons to those with these new shades yet. If there's something you'd like to see compared, let me know. 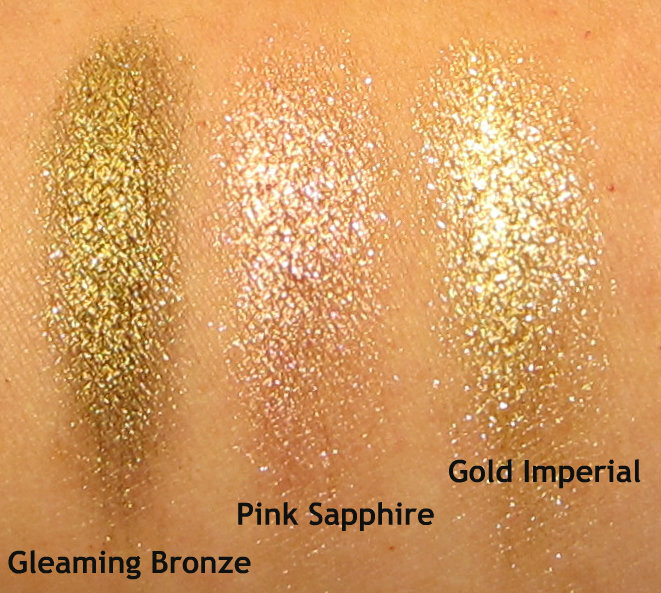 Gleaming Bronze is an antique bronze shade that's heavy on the olive undertones, Gold Imperial is a nice lighter shade of gold that's bright and clean, and Pink Sapphire is a medium pink fleshy tone that is a bit muted. 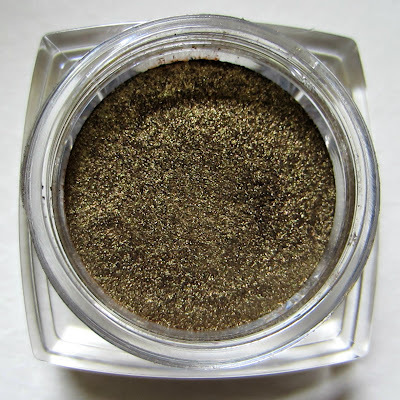 Below: Gleaming Bronze looks like a dirty antique bronzy/gold shade in the pot, but this is a gorgeous olive bronze tone with a hint of gold on the skin. Below: Pink Sapphire is a nice pink shade because it's somewhat muted, not too crazy pink, not pastel, just a good workable pink. I don't use too many pink shades, but this one works for me. 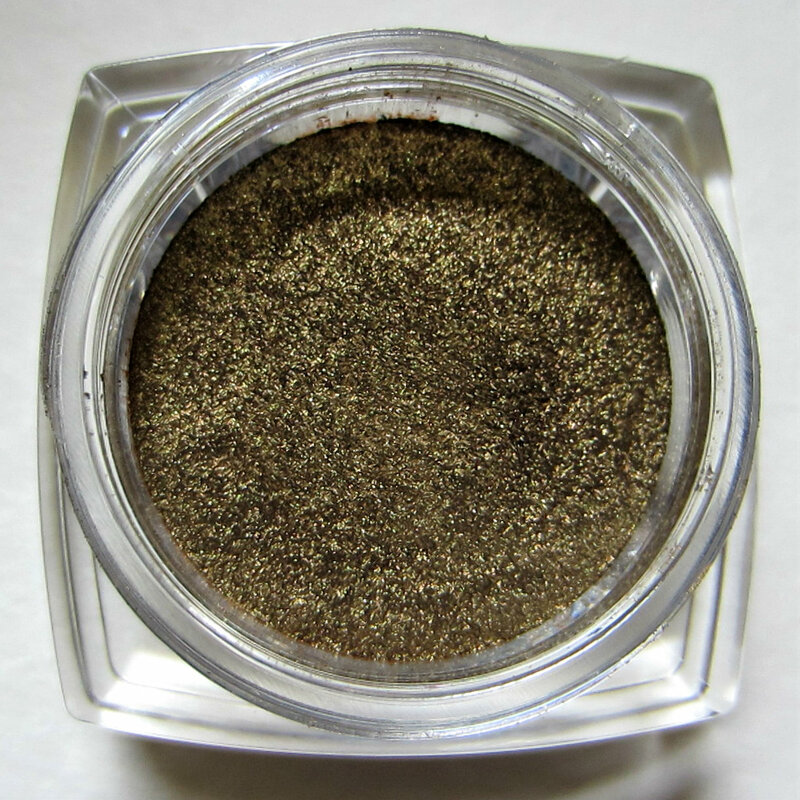 Below: Gold Imperial is a very clean, clear shade of gold. It's what I would call a lighter shade of gold, and it's bright without being too dramatic. Swatches on my arm under bathroom lighting, and on paper using natural light near a window. Next are the six new shades in their own display, which are listed under the core collection on L'Oreal's web site. 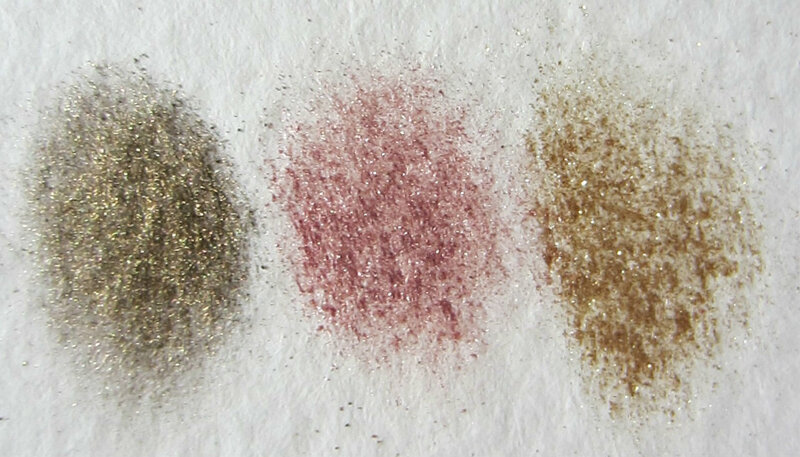 Top row, left to right: Bottomless Java is a deep cocoa brown, Glistening Garnet is a violet/magenta shade, and Liquid Diamond is a medium silver tone that's a little muddier than a straight silver, but it has beautiful smoky lavender undertones. 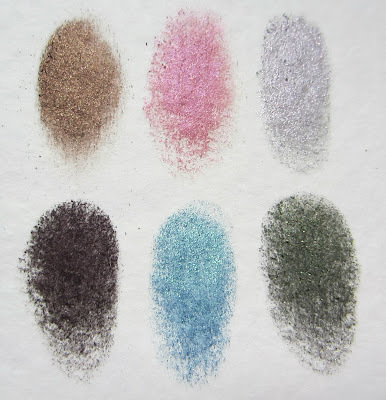 Bottom row, left to right: Smoldering Plum looks like a chocolate brown with red undertones in the pot, but it's actually a a gorgeous rich purple shade, Endless Sea is a turquoise shade with very subtle hints of gold undertones, and it seems to shift from turquoise to a more medium blue in lower light, and Golden Emerald is a strong olive shade with gold. Below: Bottomless Java is a darker shade of brown, but not too dark. I wear browns more than any other color, so this one's getting a lot of use from me. 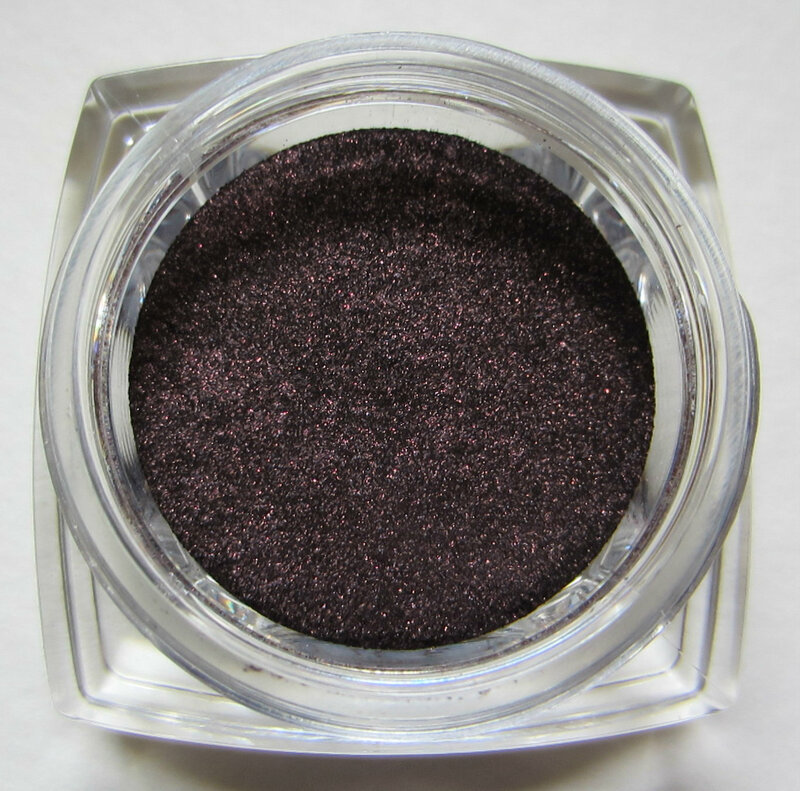 Below: Glistening Garnet is a toned down magenta with some violet mixed in. It looks more magenta/deep pink, but this one shifts a bit to the violet side in certain lighting. 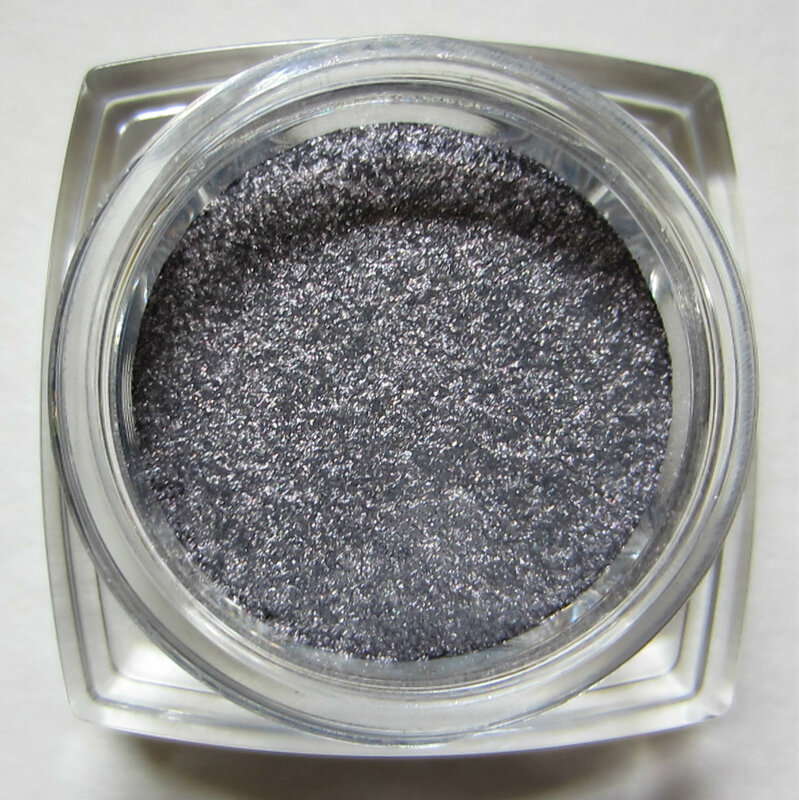 Below: Liquid Diamond is a silver tone, like the color of a nickel. 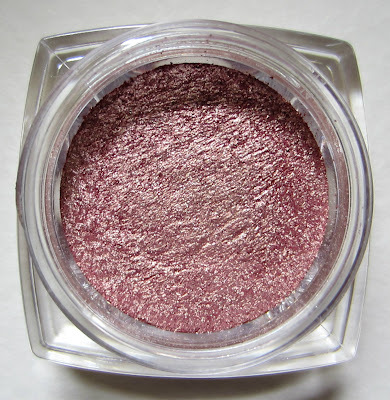 It's not bright in the pot, but brightens up on the skin and has lavenders undertones. 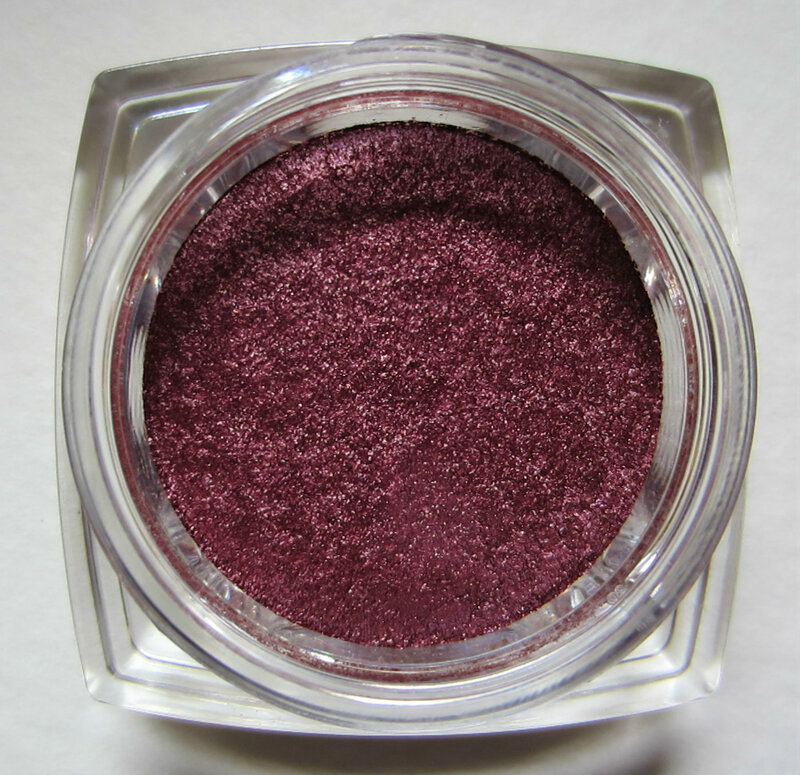 Below: Smoldering Plum looks quite different from the pot to your skin, as you'll see below in the swatches, although my swatch photo didn't come out as purple as it is in reality. 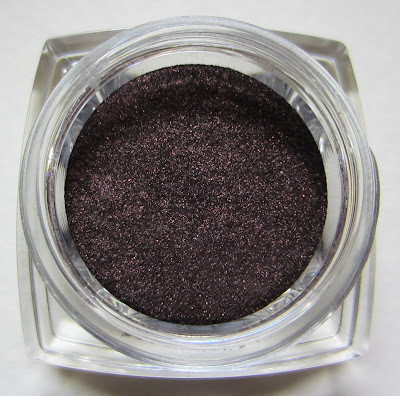 This is a gorgeous deep purple shade. Below: Endless Sea is a vibrant turquoise that seems to have some gold mixed in. When I'm wearing this in lower lighting, it shifts to a bluer tone. It's intersting how some of these shades shift, but it's subtle shifting, not entire color changes. 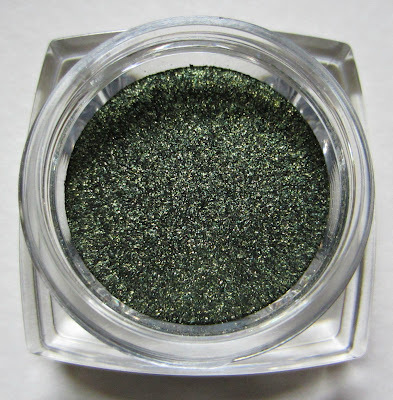 Below: Golden Emerald is more olive than emerald, which is fine with me because I love olive shades like this. The gold seems to brighten it up, and it's a beautiful color. Swatches on paper and on my arm. 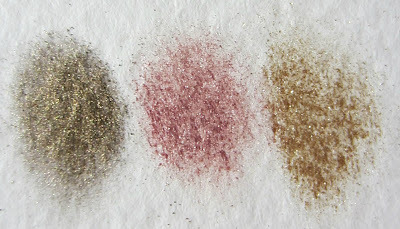 The arm swatch photo with the shade names was taken under bathroom lighting, and the photo below that was near the window in natural light. The Smoldering Plum is deeper and richer than it appears, but I reswatched several times trying to get a photo that shows it's true beauty, but I never succeeded. 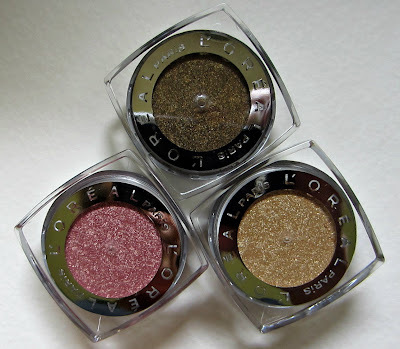 Have you tried the L'Oreal Infallible Eye Shadows? Let us know what you think of them and if you have any favorites, or if you've picked up any of the newerst shades. I have actually been dying to get my hands on these. They look amazing! They look very pigmented and beautiful! I'll keep my eye out for them! 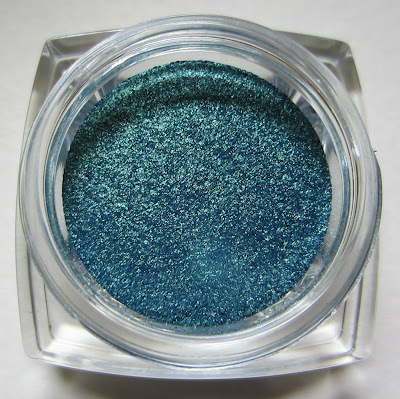 Endless Sea and Golden Emerald are so gorgeous! They all are! Bottomless Java + Golden Emerald = crazy awesome smoky eye look. 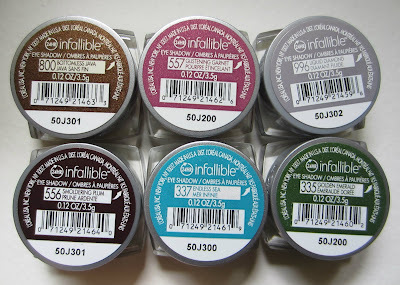 Thanks for these swatches! The colors for this display all intrigued me, I haven't brought myself to use Golden Sage yet because I fear it's too cool.